On Monday, September 28th, UB will be offering paleo-friendly, portion-controlled, nourishing meals and snacks to grab and go. Read on to hear the entire story! We here at UB want to support you in being the best, healthiest version of yourself. This means getting in for your regular WOD, but it also means getting adequate sleep, managing stress, finding work life balance, and getting proper nutrition. Managing all these domains in life takes time and preparation. But what happens on the days you don't get to prep adequately? For most, maintaining a nutritious diet is the first thing to go. We got to thinking, how can we help? Olivia and I tested out a few services, and stumbled across Methodology. Methodology is a premium personalized food delivery service that specializes in paleo-friendly, portion-controlled, nourishing meals and snacks. It's the easiest way to eat clean and feel amazing every day. Methodology's menu changes every week and is designed to help you feel light, energetic, and satisfied. Meals are designed to be high in healthy fats and protein and moderate-low in carbs. You'll get plenty of clean protein (pastured meat, wild seafood) and fresh vegetables (local / organic) in every meal. 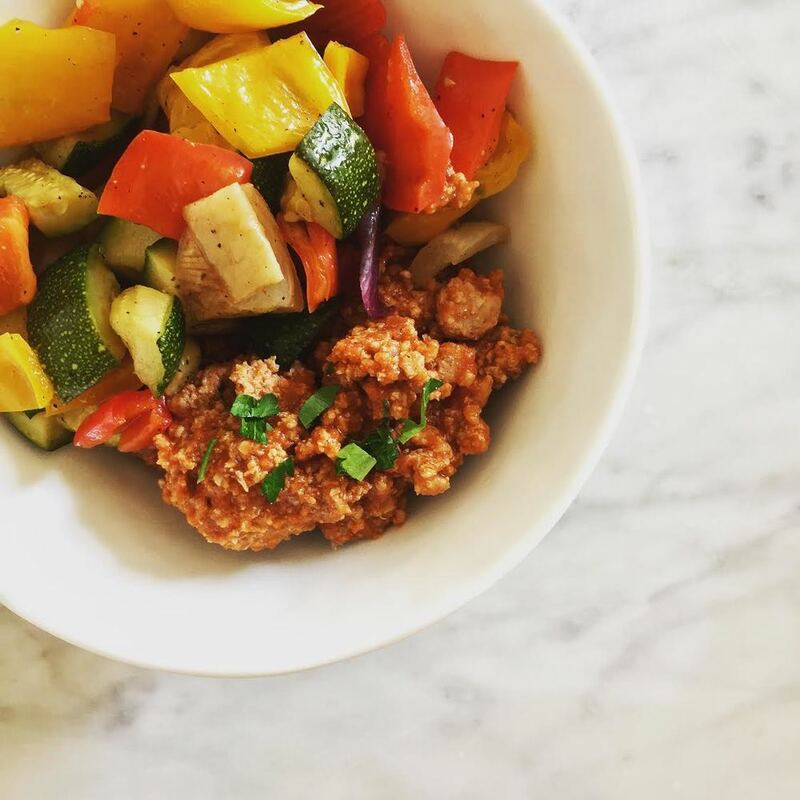 Methodology's meals are refined sugar-free, gluten-free, dairy-free, soy-free, and processed ingredient-free (no vegetable oils, no artificial ingredients). Each meal contains nutrition facts and a full ingredient list, so you'll know exactly what you're eating. Chicken Mole with Raw Cacao, Wilted Spinach, Onion and Cauliflower "Polenta"
As we beta test this service, we will have small meals (350 cals, 15$) large meals (550 cals, 17$) and sides available.